Canning tools are necessary for preserving foods at home. However, one does not need every item on the market to get the job done. 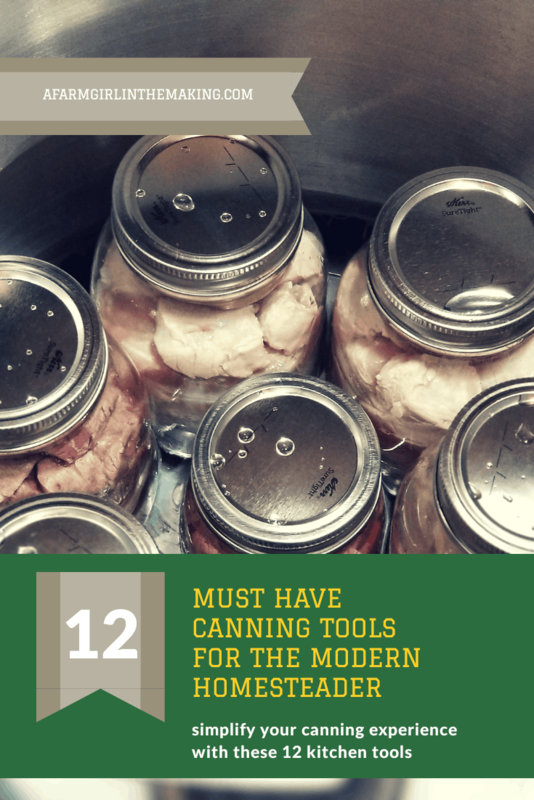 Only 12 modern tools are needed for home canning. Canning tools are necessary in order to create a long term shelf stable item through the method of canning. However, the market is over saturated with preserving tools which are not needed. Modern homesteaders have the ability to simplify their tasks, making tools which were once necessary no longer needed. 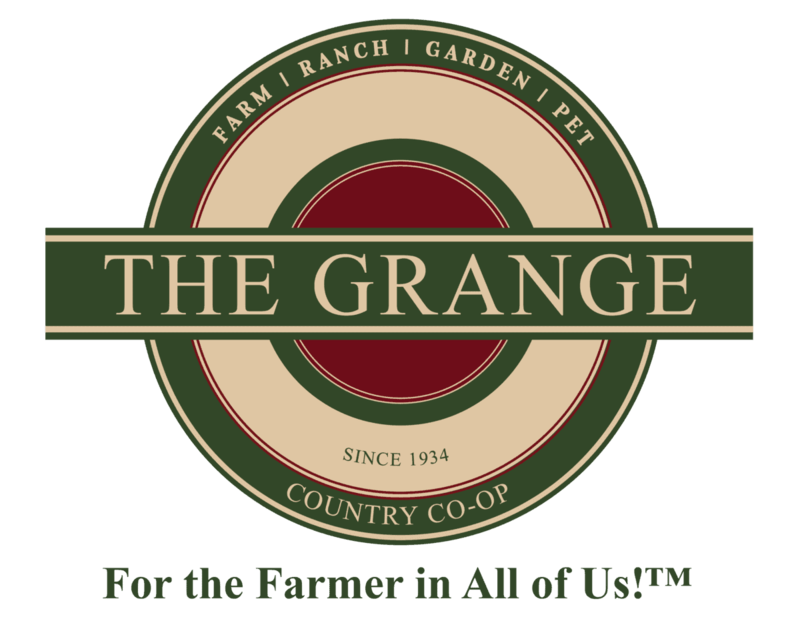 Many who are new to canning are often overwhelmed in regard to which tools are actually needed. 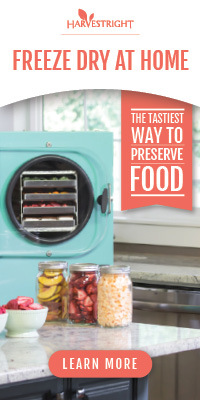 With that said, here is a list of 12 modern preserving tools for preserving foods. Yep, only 12 tools are needed. These tools are universal and can be used for everyday cooking, as well as, for canning. 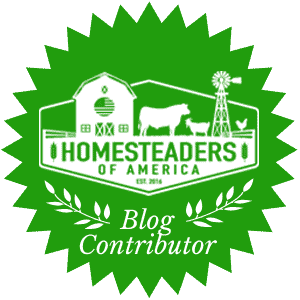 The main goal as a modern homesteader is the ability to live life simply. The ability to do so comes with the need to use one’s time wisely. With many individuals working outside the home while maintaining a homestead it’s important to work smart, not hard. Wouldn’t the practical solution be to select canning tools that allow us to simplify the task? The answer is yes. The canning tools listed below have revolutionized and simplified how our homestead preserves foods. This has allowed me the time to work the homestead, teach part-time, and preserve 75% of the foods we consume. Preserving tools should be multipurpose, if not for simple fact that it eliminates clutter. Amen to that. Justin and I are known as modern homesteaders; homesteaders who live busy lives. The homestead is a sustainable one which provides us meat, produce from the garden, and fruit from our young trees. And the truth of the matter is, for the time being we both maintain jobs off of the property. This does not stop us from owning our food source and preserving it. Bothersome, yes. Time management skill are a must have. In fact, this drives us even more. 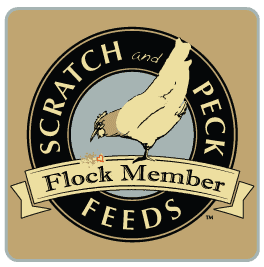 Cooking from scratch, raising and butchering meat, and harvesting food have become a part of our lives. Fast foods consists of home canned foods from the pantry, making consuming convenience foods a healthier option. Home canned foods are preservative and chemical free. Not to mention, canned foods can be seasoned based on how your family enjoys it. 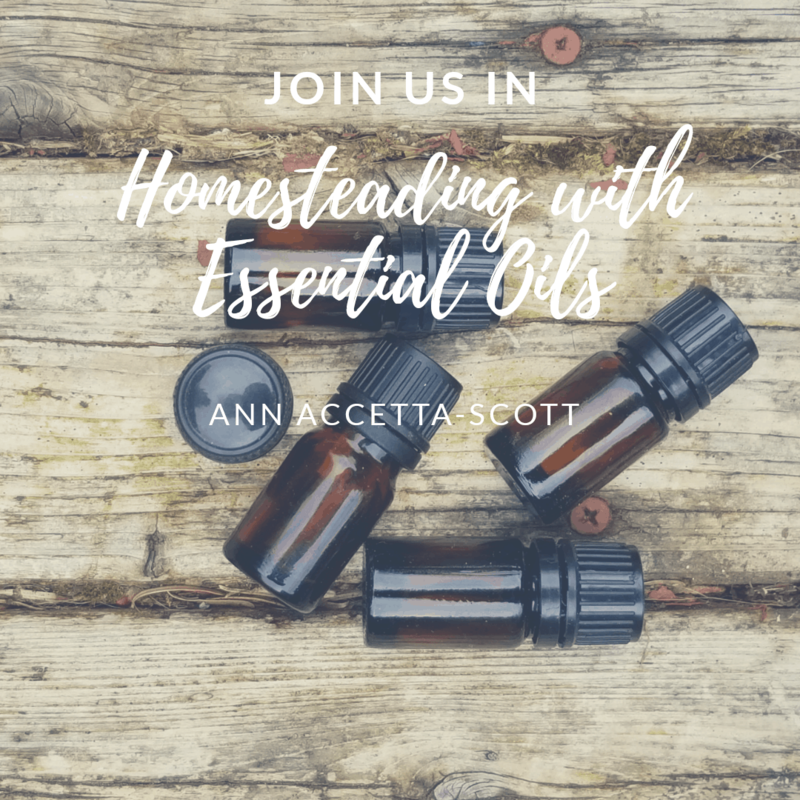 Making this a win-win for homesteaders. Simplifying the canning process has been a saving grace for us. Well, of course, the right canning tools have helped in this process. The word ‘simplify’ doesn’t in anyway refer to taking unnecessary short cuts during the canning process. Let’s not forget, the benefits of living in a modern society allow the ability to balance science with our traditional way of living. A few preserving tools listed here have been around the block a time or two. Whereas many from the list have only been around for a few decades. Regardless, each canning tool listed here will make the job of preserving the harvest much easier for you. Again, amen. Here they are, without further adieu, our top 12 canning tools. 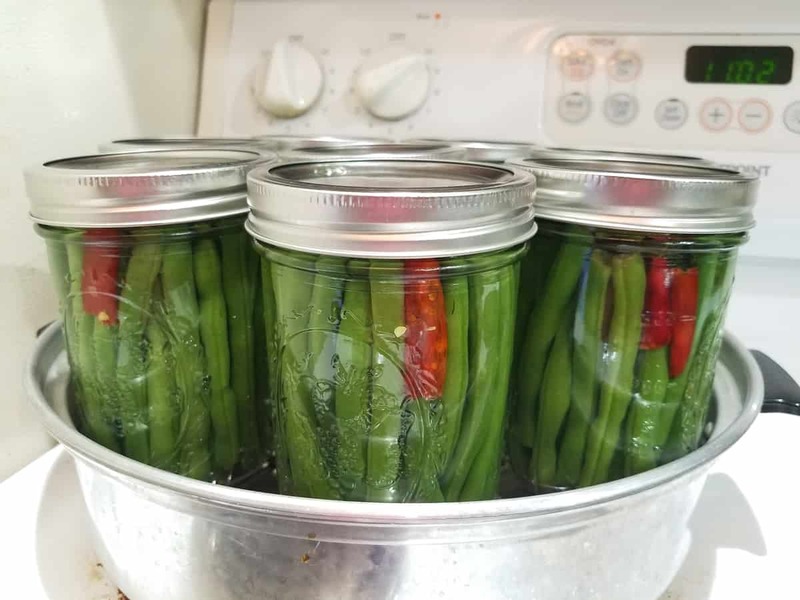 The hot water bath canner is the most popular canning tool around, mainly because it’s the least feared tool. 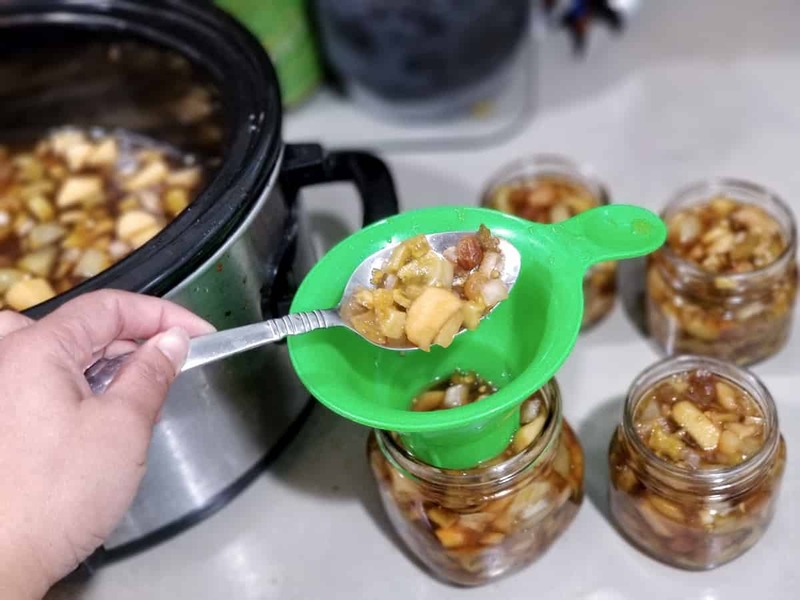 A HWB canner is used to preserve foods which are naturally high in acidity, or foods which can be preserved with the help of an acidic amplifier. 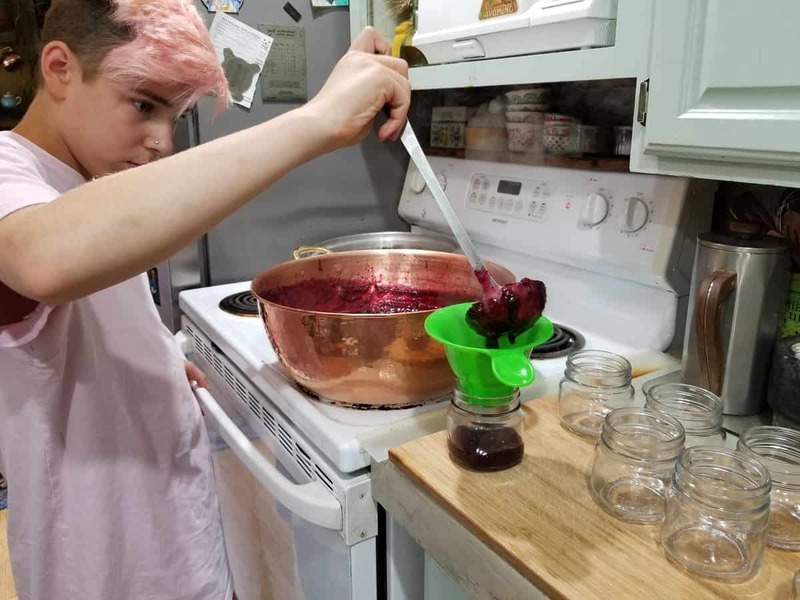 Foods turned into jams, jellies, juices, or that have been pickled are preserved using this method. The typical hot water bath canner consists of an enamel pot which is blue and white in color. A canning rack (used to place, and hold, jars in place during the canning process) is included with the purchase of a canner. A replacement rack can be purchased on line or at any location which sells canning jars. A pressure canner is use to preserve foods which are low in acidity. Food items such as meat, seafood, vegetables (which aren’t being pickled), beans, soups, stews, and many sauces fall into this category. Foods that are PC’d are known as convenience foods. The foods being pressure canned are thoroughly cooked and can be consumed as a jar is opened. There are many pressure canners available on the market, designed for large or small batch canning. The main decision in selecting PC is whether to choose a dial or weighted gauge pressure canner. A dial gauge caner is capable of measuring the exact amount of pressure within the PC during the canning process. For those who reside at 6,000 feet above sea level, or higher, will need a dial gauge canner in order to preserve foods. 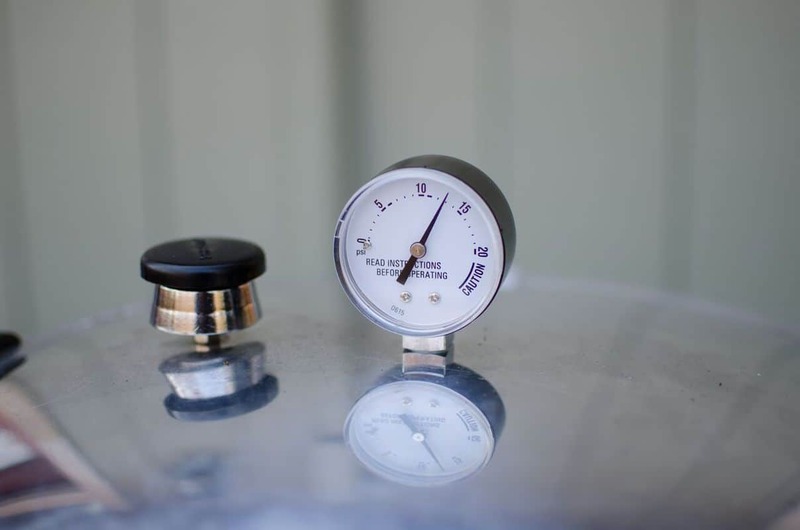 The correct pounds of pressure can only measured with the use of a dial gauge canner. The weighted gauge canner does not measure the exact pounds of pressure but instead the general amount found within the canner. Three 5 pounds weights are used to gauge the pounds of pressure within this canner. Weights are added based on the PSI needed, for example, 12 pounds of pressure would require the use of 2 weights totaling 10 PSI. Additional information on how to use a weighted gauge canner can be found here. A third option when purchasing a pressure canner is selecting a dual purpose canner. This PC has both a weighted and dial gauge, making it a much desired canning tool. However, with this preserving tool comes a hefty price tag. Another thing to consider prior to purchasing this canning tool is the overall weight, it is not recommended to be used with glass stovetops. By far, hands down, my favorite preserving tool. A steam canner is used in place of a hot water bath canner and utilized only 2 inches of water. The food is preserved through the use of steam versus being submerged in boiling water. This canning tool is excellent for minimizing the use of water and is known to keep the kitchen cooler during the hot days of summer. 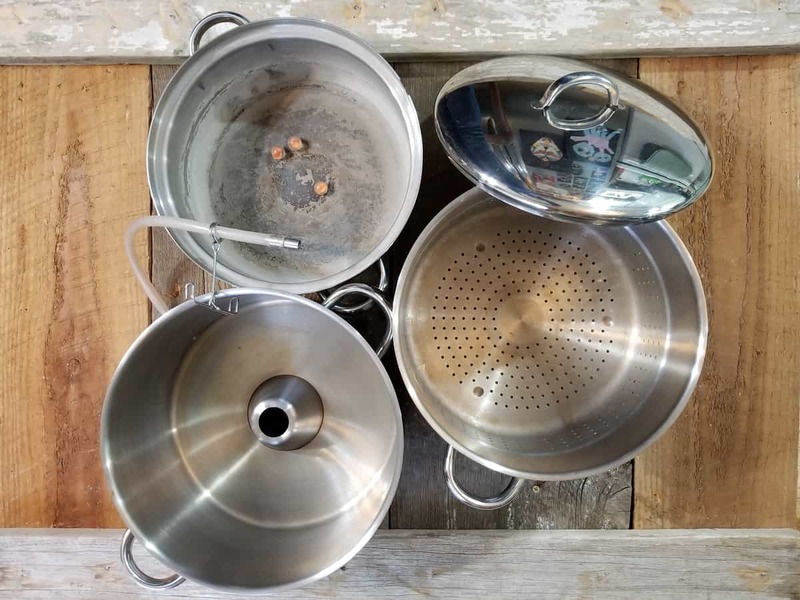 Due to its light weight the steam canner causes less wear and tear on a stove’s burner and is ideal to use on a glass top stove. Remember the talk we had about being a modern homesteader and working smarter, not harder? Well, let me tell you, a steam juicer allows for just that! I’m busy, you’re busy, we are all busy. The idea of boiling and hanging fruit in order to make jelly is not an option for me, nor is the idea of slow boiling fruit to make juice. What is amazing about the steam juicer is how the fruit or vegetable is processed. Whole fruit and vegetables, seeds, peel, stem and all can be added to the colander as is. There’s no prepping required other than washing the food item to rid it of possible bugs. Steam rises from the bottom compartment allowing for the item in the colander to release it juices, creating a crystal clear liquid free of sediments. The juice which is extracted is considered a concentrate, making it able to be HWB or steam canned. Modern homesteaders have taken the crockpot and made it to be a multipurpose appliance. The ability to slow cook items such as fruit butters, salsa, and sauces is invaluable. Let’s not forget to mention, scorching is not an issue when it comes to using a crockpot. Nor the need to monitor a pot for a long period of time; there are more pressing matters which require my time. Ideally, by utilizing a crockpot overnight to slowly cook down foods will free up your time. The following morning the slow cooked item can immediately be canned, allowing for more hours in the day to complete other tasks. An immersion blender is a must have when it comes to selecting 12 canning tools. 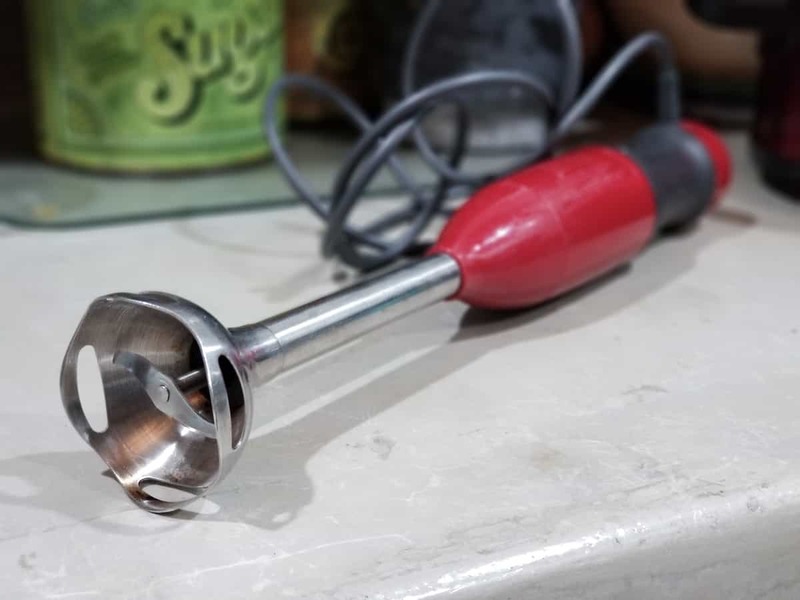 This preserving tool has taken the place of a food mill, not entirely, but you see the value in an immersion blender quickly. This stick blender is excellent for making items such as fruit butters and sauces, making for quick and efficient work. A roaster oven serves the same purpose as a crock pot but on a larger scale. Making large batches of bone broth is a prime candidate for a roaster oven. The use of a roaster oven allows an individual to preserve 12 to 18 quarts of broth at a time. Not to mention, this tool is ideal for making large batches of sauces, salsa, and fruit butters. Canning utensils consist of tools used to simply the canning experience. Though many of the items can be substituted for items found in the kitchen, investing in these canning tools will make the canning experience much easier. The following items can be purchased individually or in a kit, and are available at any location which sells canning jars. A mandoline ranks high on the list of 12 canning tools needed. 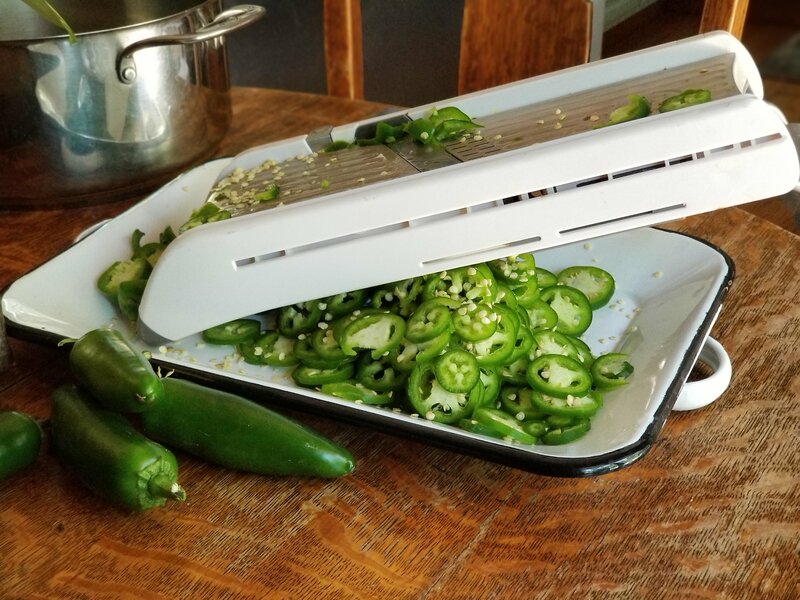 Take for example slicing jalapeno peppers for candied jalapenos or when slicing mushrooms for canned mushrooms. These food items can not be sliced efficiently, or uniformly, without the use of a mandoline. This handy dandy tools come in various shapes and sizes, making selecting the right one based on preference. There are various models available on the market though the hand held or table top versions are better options. The type of pot to used when preparing food for canning is important. Ideally, a non-reactive pot should be used, making stainless steel or copper pots the best options. Aluminum pots can leach a metallic flavor, whereas seasoned cast iron releases the seasonings found within the iron onto the food items. 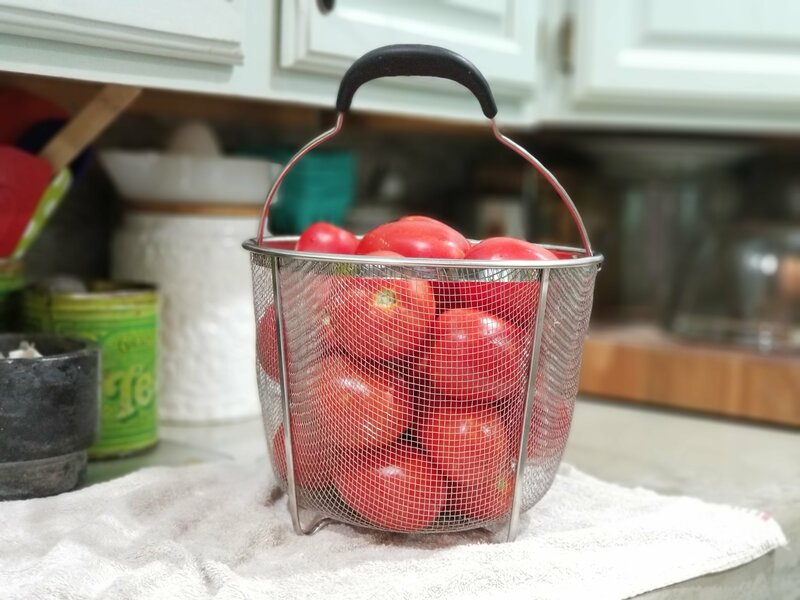 For obvious reasons a blanching basket has made it to the list of 12 canning tools needed in a modern kitchen. Many items being canned require the skin to be peeled or blanched prior to canning or freezing. A blanching colander allows the food to be blanched without cooking it. The Farm Girl’s Guide to Preserving the Harvest is a preserving book covering the A to Z of home food preservation. The book was written in an easy to comprehend language which takes individuals from canning to curing meat. 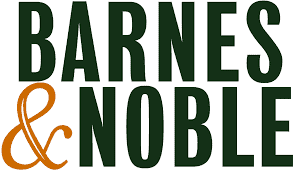 Not to mention, this beastly book also covers the basics of fermenting, root cellar and cold storage, freezing foods, and the benefits of freeze drying. 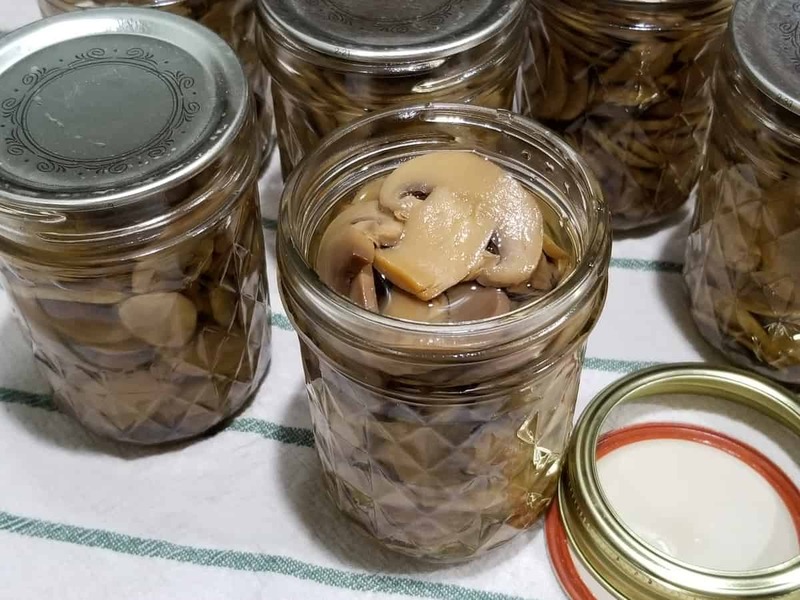 As a self-taught homesteader I struggled to find the information needed to preserve foods, let alone distinguish whether a recipe was a traditional or scientific one. This guide allows individuals to preserve foods as a modern homesteader while learning the values of traditional methods. And yes, there are values found in traditional methods for preserving foods. 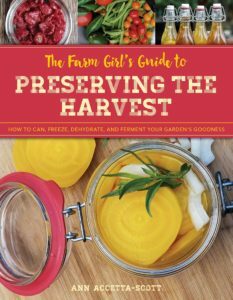 The Farm Girl’s Guide to Preserving the Harvest is a book you will refer to often, and a staple in many homesteading kitchens. Urban homesteads included. This list of canning tools was created in order to help simplify the canning experience, and these 12 preserving tools will do just that. Simplifying the task simply indicates that your time is being used wisely. Time is valuable, especially to modern homesteaders. I would strongly encourage individuals to learn the traditional methods for preserving foods at home. For example, making jelly using a jelly bag or creating juice by boiling the fruit. The skill and experience received through utilizing traditional tools will never leave you, heck, there may come a day when they may once again be needed. 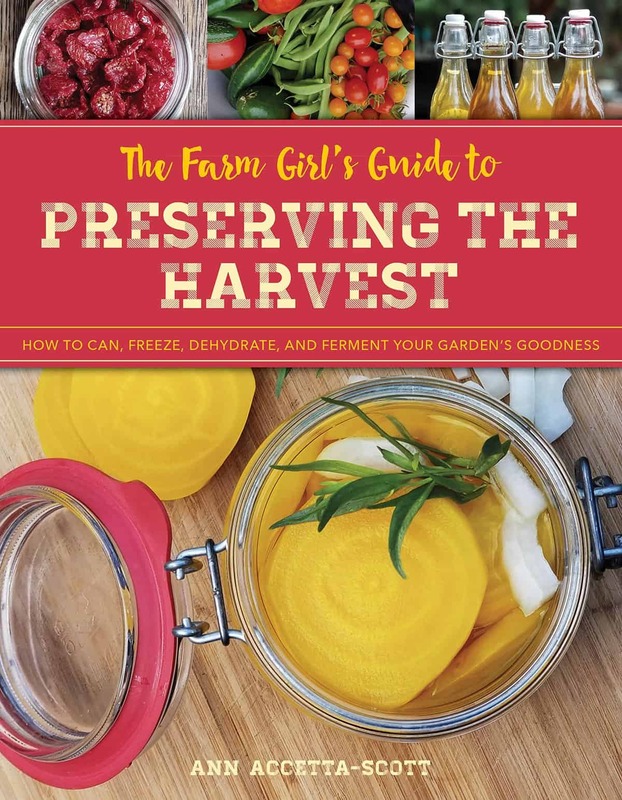 The Farm Girl’s Guide to Preserving the Harvest can be ordered here. 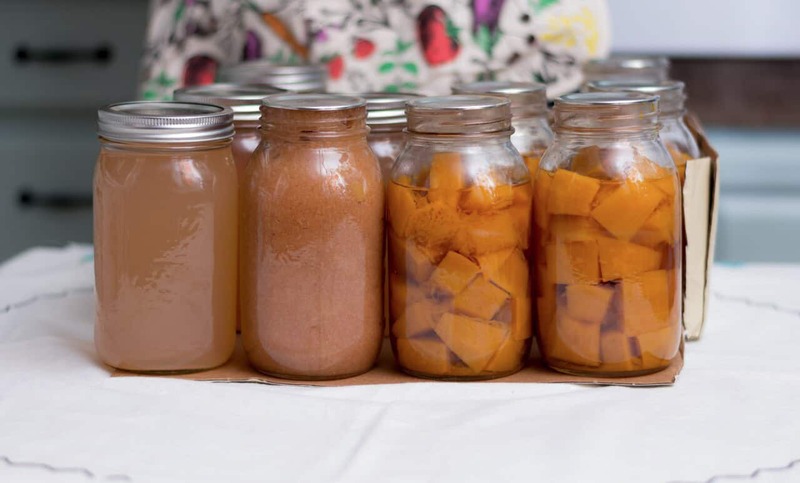 Use this guide as a resource on educating yourself when it comes to preserving foods at home!